Polling places will be open throughout Cannon County Tuesday for voters to cast their ballot in the Nov. 2 State General Election. Polls open at 7 a.m. They will close at 7 p.m.; however, anyone standing in line at 7 will still be given the opportunity to vote. Results should be known no later than 9 p.m. Tuesday, according to the Cannon County Election Office. Voters should take at least one form of identification with them when they go to vote, election officials said. 1374 people voted early for this election. There are approximately 8,000 registered voters in the county. Elected offices on the ballot are for Governor, United States House of Representatives 6th Congressional District, Tennessee Senate 17th Senatorial District, Tennessee House of Representatives 46th Representative District. Cannon County voters are also being asked to decide whether they want to permit, or not permit, the manufacture of intoxicating liquors and other intoxicating drinks within the boundaries of Cannon County. Voters across the state are also voting on a Constitutional Amendment supporting citizens' rights to hunt and fish in Tennessee. 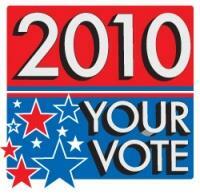 Click here for a list of Cannon County polling places. And after today no more calls from Romney, Huckabee, Haslam, Black and Palin and I am really going to miss the reruns of "I am not a witch." "'I am really going to miss the reruns of "I am not a witch.'" And all this time I thought you supported Nancy Pelosi. Mr. Halpern--I loved that, believed it our not, I am sitting here smiling at your reply and trying to keep the laughter down. Loved It! By the way, most happy to hear that Dan Whittle will be writing a column for the Courier. I much enjoyed his articles in the DNJ---particularly those abput Cannon County, and by the way, another believe it or not-- I applaud the Courier in its outstanding manner of bringing to the residents of the county the news along with a myraid of pictures--go ahead and raise the subscription rate next year--it will be worth it.